Jewelry Designer Jeremi Wager makes molds from real creatures found dried up on the beaches of Florida. Taking a wax of each one, she then fabricates a ring out of the different pieces. 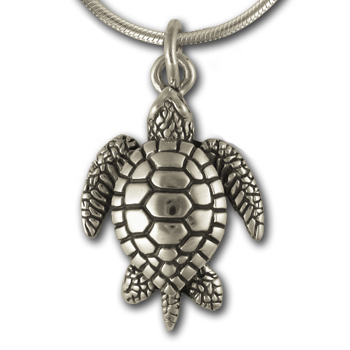 Cast in sterling silver using the lost wax method, this pendant is a unique and lovely way to show your affinity for the sea and of course it’s creatures! So happy with my purchase..moonstone has great color, and looks more expensive than it was...couldnt be more pleased! 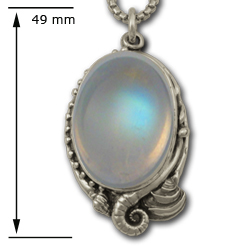 This is a beautiful and exquisite pendant reminiscent of the ocean and all its creatures. I love the way the artist rendered the design - very authentic. A great piece for a great price, I would definitely recommend this site to all my friends!